I’ve got a whole lot of small coins (one and two baht, 25 and 50 satang) that I don’t use and don’t know what to do with. Where in Phuket can I take them to exchange for big bills? Will any of the big shops or banks accept them if I have a lot? I must have thousands of baht worth, and my pile keeps getting bigger every week. Please advise. Ned in Phuket Town. •Bangkok Bank (the main Phuket branch on Phang Nga Rd) does not have a policy for exchanging satang coins, but told us they would accept all coins to deposit in an account there. •Kasikorn Bank have policies for both exchanging and depositing satang and one baht coins. It’s free of charge if the number of coins is 500 or less, but if you bring in more than 500 coins, there will be a charge of 1 per cent of the total monetary amount. •Neither Siam Commercial Bank nor Ayudhaya Bank will accept bulk small coins for exchange or deposit. •SuperCheap (the main superstore on Thepkrasatri Rd near Sapam) will accept satang and one-baht coins. They advise customers to simply queue up at a cashier, even without buying any of their products, and ask to exchange (To make such a request in Thai say Khor Lack Noi ขอแลกหน่อย). 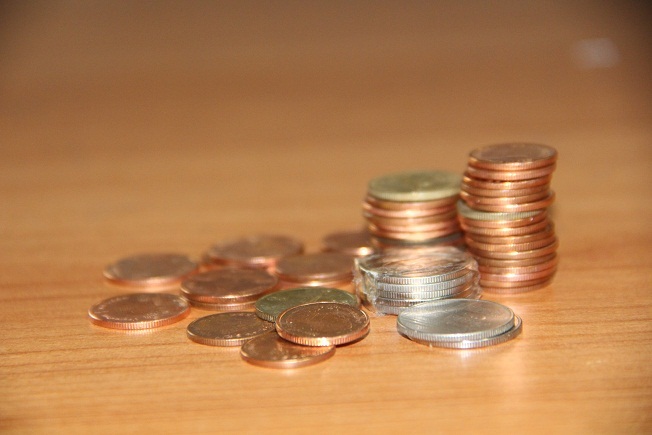 However, if one comes with a large amount of coins, you might need to leave the coins there and return a day later to collect the money, as it will take time to count. •Tesco Lotus also accepts small units of coin because they still use them regularly. If you want to exchange them, you are advised to walk up to the customer service desk and ask to exchange. They said there is no limit to the amount of coins you can exchange, but should also allocate time for counting. •According to Seven Eleven headquarters in Bangkok, the convenient store chain also uses satang coins regularly; however, each store has its own owner and management. Therefore, some might need more small coins, and others won’t because they may already have sufficient coinage in their reserves. Therefore, some stores may deny large exchanges. Just ask. In general, if you plan to to make large exchanges, purchases or deposits with satang or other small-value coins, it is advised to organize your coins into small manageable portions. That said, depending on the value, vendors may still wish to re-count the coins, which means you should always allocate enough time for the transaction.